According to VISA, exploring a new destination grants people the chance to take a relaxing break from their usual and often monotonous realities. It’s like hitting the pause button for a while, taking a sweet escape out of routines and comfort zones to wander and gain new experiences. And this is one of the reasons why Singaporeans like to leave their stress behind and get out of our small, bustling city once in a while. With increased connectivity and accessibility, travelling has become more common among Singaporeans. Of course, with traveling comes the need for luggage, and with that necessity comes great offers by credit card companies. We have had several credit card companies offering free luggage as welcome gifts, and who’s to reject these amazing offers? Certainly not us! 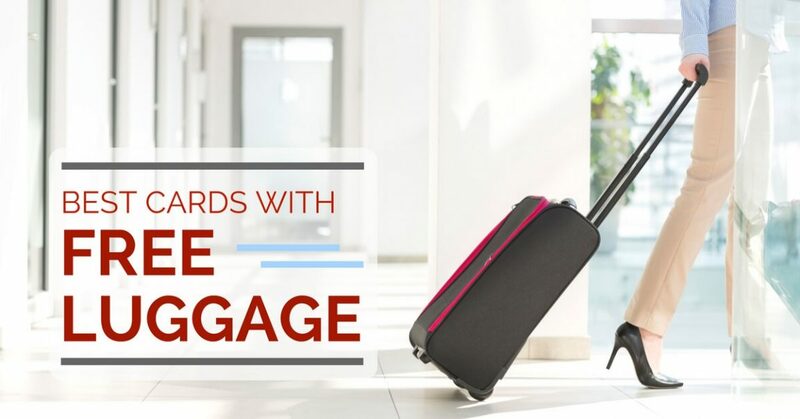 A luggage is definitely not a cheap buy, and if you or your family members have already been thinking of signing up for a credit card, why not grab these free gifts and get rewarded with a new swanky and solid luggage? It is always wise to invest in a good, sturdy luggage, because you wouldn’t want to deal with a broken luggage and ruin your beautiful vacation, would you? So if you’re one who travels regularly, whether for work or leisure, don’t miss out on these welcome offers! Luggage welcome offer has expired. Stay tuned while we look for updates from StanChart! But, you can choose to receive 35,000 miles instead! Luggage welcome offer has expired and replaced with 49,400 KrisFlyer miles when you spend in your first 6 months promo. Stay tuned while we look for updates from AMEX! Below are more details on the credit cards and their offers with free luggage. Luggage welcome offer has expired and replaced with 49,400 KrisFlyer miles promo. Stay tuned while we look for any updates from AMEX! If you’re a frequent flyer, especially on Singapore Airlines, this may be an ideal card for you. Not only can you earn KrisFlyer miles as you fly, you need not go through the trouble of converting them as the miles you earn are automatically credited to your linked KrisFlyer Account. No conversion fee and no downtime! 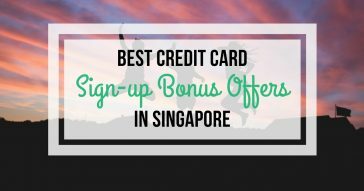 With the AMEX SIA KrisFlyer Ascend credit card, there are several travel privileges we have listed down below that you may enjoy as a cardholder as well. 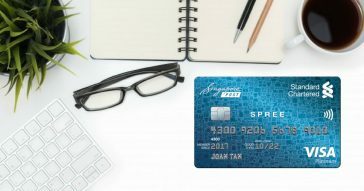 We have done a in-depth review of the AMEX SIA KrisFlyer Ascend credit card if you are keen to know more! Apply to get a free 76cm Expandable Samsonite Sigma Spinner (worth S$600) today! You can choose to receive 35,000 miles instead. The Standard Chartered Visa Platinum card is another great card for travellers as you can earn miles and get up to 6 complimentary Priority Passes annually to airport lounges around the world. 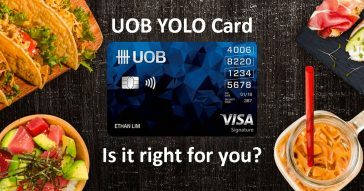 Read on to find out more about the card. Luggage welcome offer has expired. Stay tuned while we look for updates from StanChart! You can choose to receive 35,000 miles instead. 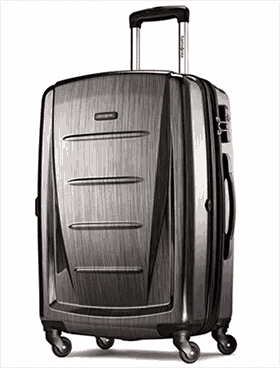 Apply to get a free 28 inch Samsonite Lite Shock Spinner (worth S$950) today! 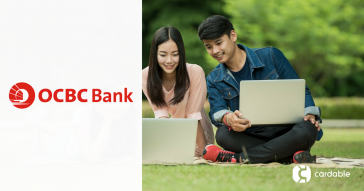 The HSBC Visa Platinum credit card is a suitable card for couples and families, with perks such as rebates on recurring bills, groceries and petrol. 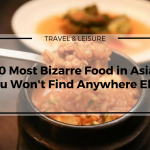 There is also an array of 1-for-1 buffet and dining deals with monthly specials you should look out for! Up to 5% cash rebates on petrol and an additional 16% instant discount at all Caltex and Shell stations. Apply to get a free Samsonite Astra 55cm Luggage (worth S$350) today! The Samsonite Astra luggage free gift is also valid for redemption when you apply for the HSBC Revolution Card, as well as the HSBC Advance Visa Platinum Card. You’ll also have to be new to HSBC cards as with the application of HSBC Visa Platinum card, in order to qualify for redemption of the free luggage. Here’s a quick overview of the two cards for your consideration. *Cardable had also previously done a review on the HSBC Revolution Card if you’re keen on the details! Who doesn’t love free gifts? We know the welcome offer and free gifts shouldn’t divert your attention in choosing the right credit card for yourself, but it’s a great bonus if you’re undecided on the cards AND need a new luggage right? You may have just narrowed down your choices to the cards mentioned above! If you’re a jet setter, you’ll definitely be grateful for such a freebie. Not that them being free compromises on the quality, these free luggage are excellent and durable, and won’t give in easily to wear and tear. 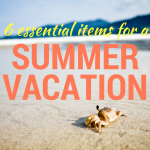 These will be great additions to your travel necessities! Summary: Grab these free luggage offers today! 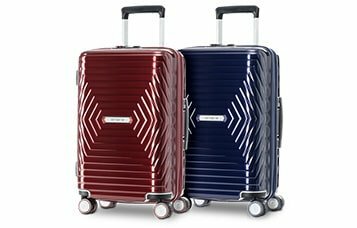 Are these free luggage welcome offers persuasive enough for you to consider applying for the credit cards? Click on one of the apply links above to get your hands on a brand new luggage along with your credit card today! 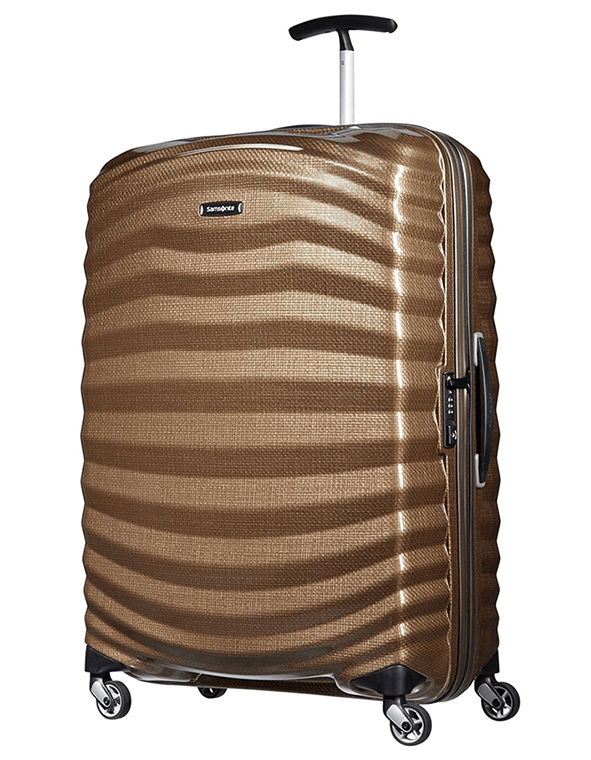 APPLY NOW Samsonite Orfeo 69cm Spinner (worth S$420) – Fully redeemed!